After a magnitude 7.0M earthquake hit Haiti in 2010, the death toll was estimated to be somewhere between 100,000 and 316,000. Haiti is a country plagued by national debt, with poor housing conditions and a high level of poverty that contributed to the death toll (Human Rights Watch – Haiti World Report - 2017). 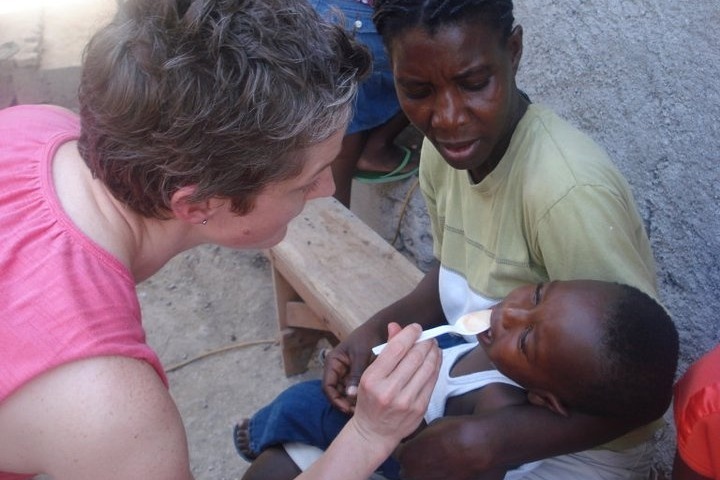 In the spring of 2011, I travelled to Haiti as part of a medical mission trip with Consider Haiti (CH). The trip was based in Montrouis, about an hour from Port-au-Prince. I have never worked so hard in my life. It was incredible, and hard, and dirty and rewarding and everything I had hoped it would be. I felt like I was really making a difference as I fed children worming medicine, slipped a $20 into the purse of a woman who had lost her entire family in the earthquake, and weighed and measured babies showing great improvement from malnourishment. And then we left. I got to go home to my warm bed, roof over my head, running hot and cold water and easy access to health care, and Haiti remained. I wasn’t sure I wanted to return, feeling like the most important way I could support Haiti was through fund raising for CH. In 2016, I returned for my second trip to Haiti, this time with a group of RN-BSN students getting clinical hours for community service. I went to show them how to do mobile clinics in rural areas. We went right after large floods from Hurricane Matthew caused death and damage to much of western and central Haiti to a clinic in Terrier Rouge. My experience on my second trip was completely different in some aspects, but sadly the same in others: I put bandages on deep wounds that would likely re-open after we left. I am a big fan of the Patient Risk Detection Theory by Despins (2010), stating that education and training can reduce harm to patients. Additional research (Progress of the World’s Women 2015) shows that when we train WOMEN, we are even more likely to reduce harm. According to USAID Empowering women, investing in gender equality and women’s empowerment can unlock transformational human potential. Women account for one-half of the human capital in any economy and Haiti is no different. Women make up more than 40 percent of the agricultural workforce, but only 3-20% are landholders. Only 22% of women in Haiti go on to Secondary school, but studies have shown an extra year of secondary school can increase future earnings by 10-20 percent. Countries investing in girl’s education have lower mother/baby death rates, lower AIDS and HIV rates and better child nutrition. When women participate in politics, governments become more open, democratic and responsive (Poto Mitan – Haitian Women – Pillars of the Global Economy). Within 24 hours of suggesting the idea to Eddy (CH Staff, and all around amazing guy), he had found both a candidate and a nursing school. 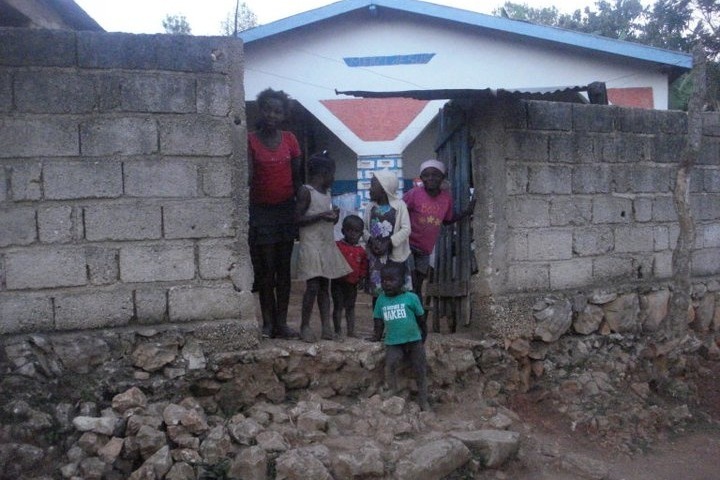 The funds needed to send Rose Katiana to school each year are $3150 – this includes room and board, books, tuition and other costs. 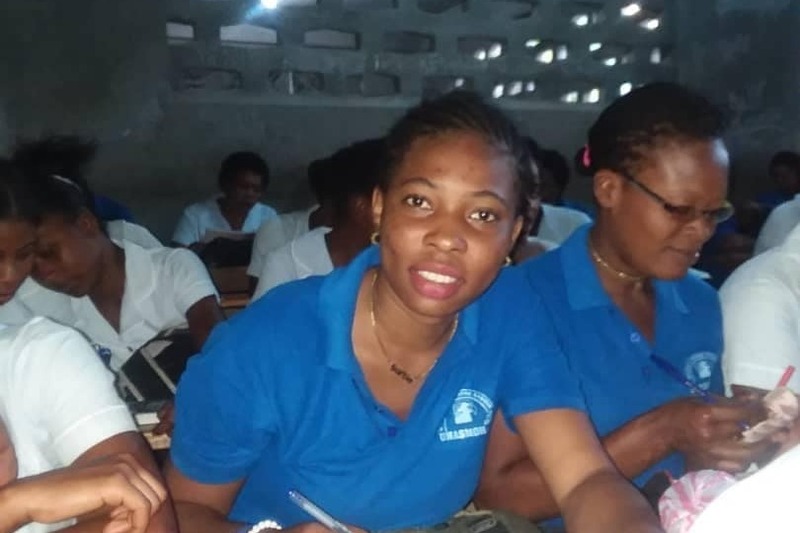 I began fundraising, and she began nursing school in October of 2017 at UNASMOH – the American University of Modern Sciences in Haiti in Saint-Marc. I just sent tuition, room and board for the second year. 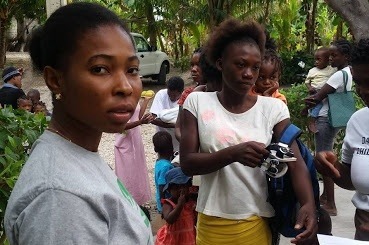 Rose has given me permission to share her story and photos with you; she wants to do whatever she can to encourage more support for Consider Haiti. She is a 24 year-old orphan, born in Lanzac, a small village in Montrouis. 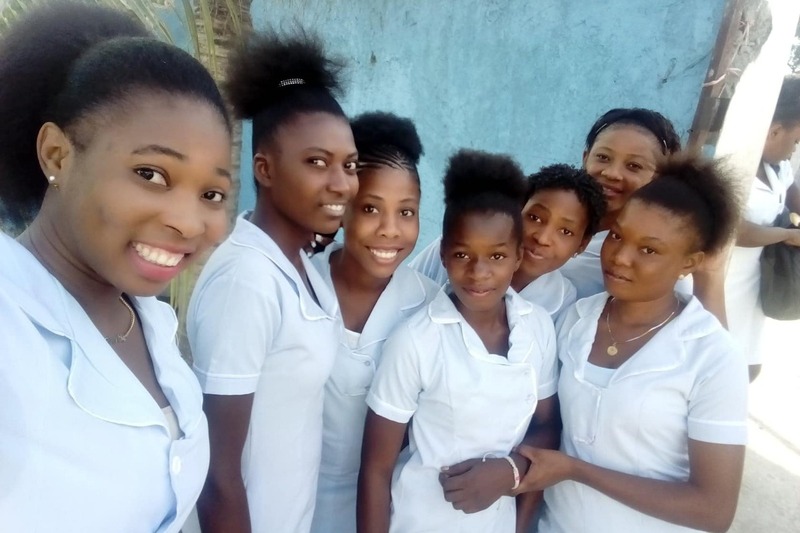 During her first year of nursing school, Rose has shared many photos and videos of the work she is doing both in school and as a volunteer for Consider Haiti. The spring 2018 volunteers all speak so highly of her personality, dedication and skill. Rose is thrilled to be able to help her community, and looks forward to the day when she will be a nurse at the Consider Haiti Clinic. This fundraiser is brought to you by Safety Nurse (that’s me) - I have been a nurse for over 12 years – I just got my doctorate and am a certified professional in patient safety. If you want to know more, look me up on Facebook, Linkedin, twitter (@safetyfirstNRS). You can read more about Rose and other articles on patient safety on my blog at allnurses.com . Save the date! Tuesday May 14th, 5p-7p, Salvage Station! Fundraiser for Rose Katiana will include Free live music, silent auction including Haitian artwork fresh from Haiti, Raffle, video of Rose and more! $12000 is the total cost for room and board, english lessons and four years of nursing school. We've raised over $1000 already. Rose is half-way through school and getting ready to assist with the Consider Haiti Clinic in April. CH volunteers will be bringing back video interviews and Haitian art for the auction. Rose is now in her second year of nursing school. As you can see in the short video, she's doing really well with her English lessons.